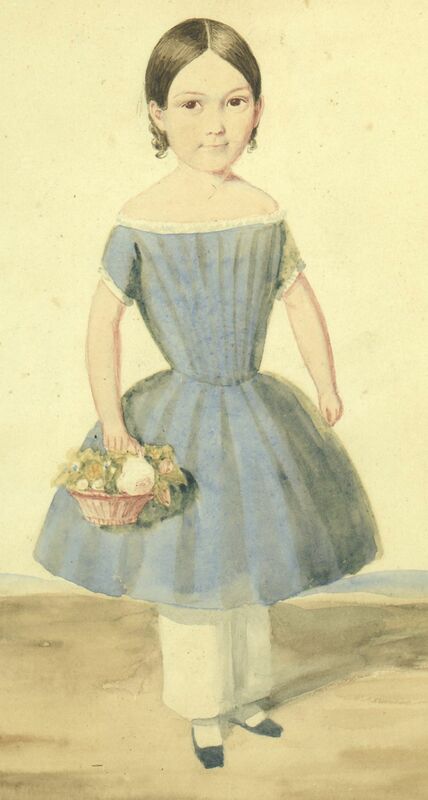 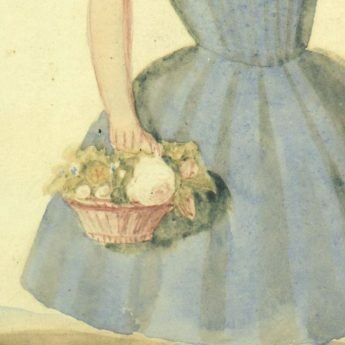 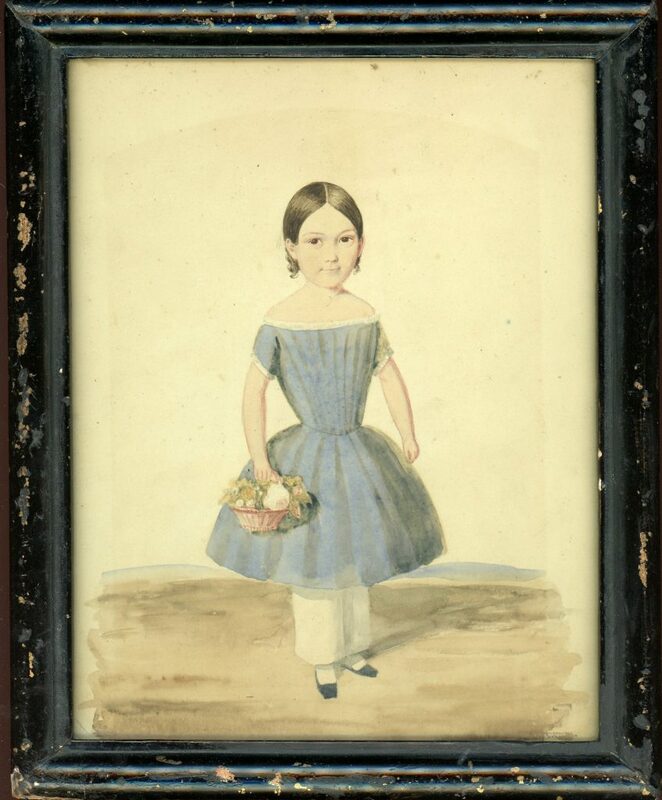 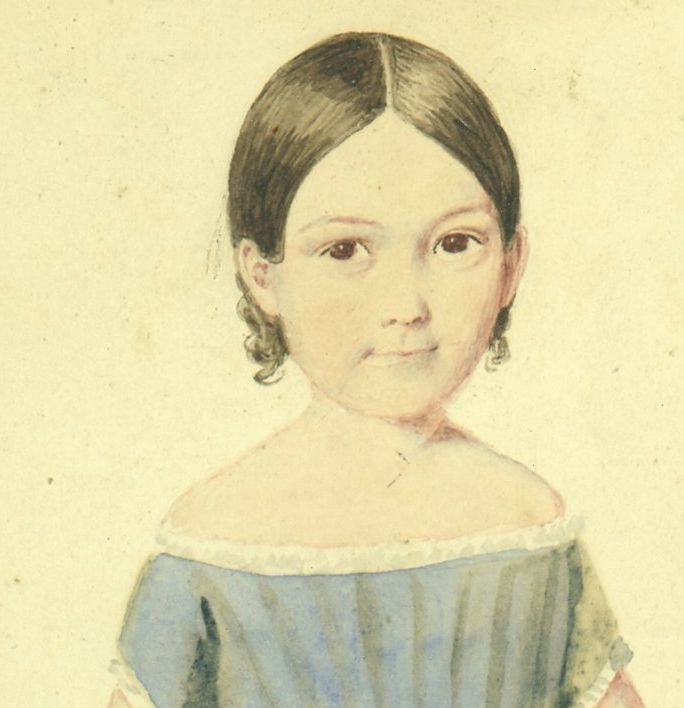 A charming watercolour portrait of a young girl holding a small wicker basket filled with white and pink roses with foliage. 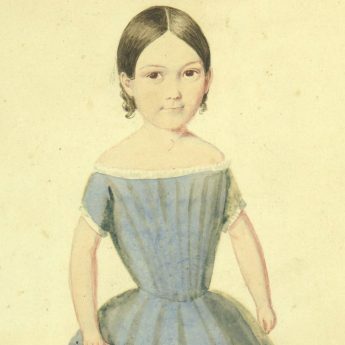 She is wearing a blue short-sleeved dress with a full skirt and a draped bodice edged with white lace over a pair of white pantaloons (or drawers) and little black square-toed shoes. 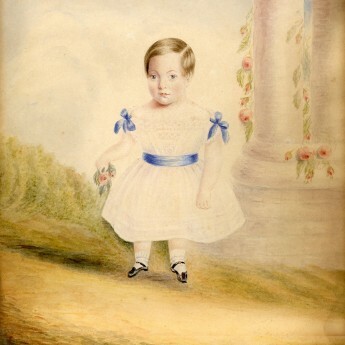 The portrait has light dust-soiling consistent with its age. 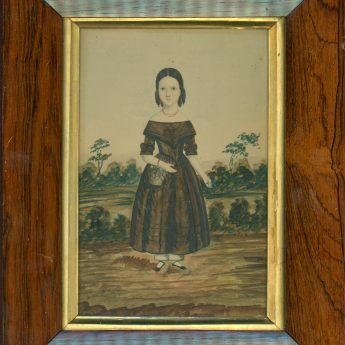 It is housed in an ebonised frame that has small areas of paint loss creating an effect that is wholly in keeping with the style and period of the portrait.